The weekend before last was International Lighthouse and Lightship weekend. This is where many lighthouses around the world are opened to the public in commemoration of the often lonely and dangerous work the lighthouse keepers used to do. 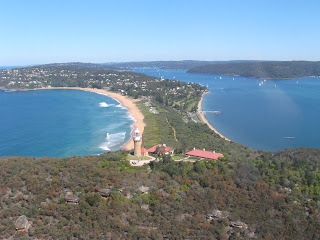 The Amateur radio club I belong to, the MWRS, set up a station at Barrenjoey lighthouse on the Saturday and Sunday. For those not in Australia, I recommend you take the time to look at the photos. I have uploaded the photos to my flickr account.